Plastic Fencing: Are there Advantages To It? 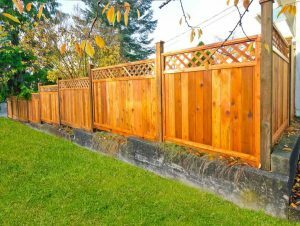 One of the many frustrating things that owners of a wooden garden fence have to deal with is the high-winds that can come and smash, snap, and or bring down the fence. 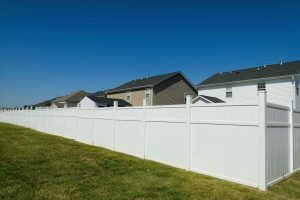 If you are lucky enough to own a fence that has not broken down, there is the added cost of continuously staining or painting the fence to protect against weather damage. Even with the stain or protectant, it can not protect against all kinds of weather, and they are still expected to have a very short lifespan. Once the fence brakes, the owner will have to go out and purchase another fence, that will cost him/her a lot of money that I’m sure they don’t want to pay. This new fence of course will inevitably break like the previous one. Of course no one wants to pay for something that is not worth paying for, so there are other alternatives that you can look at that might be better suited for you and your needs. One thing you might be interested in looking for is plastic fencing. 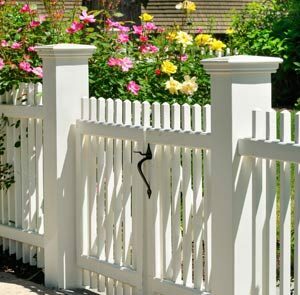 There are several big advantages to this new type of fencing. First in for most, you won’t have to worry about painting or staining the fence because of the plastic material. This will save a lot of money in the long run. Also we all know that none of us like the tedious job of painting the whole fence. With the time you used to paint the fence, it can now be spent on other priorities that need to get done. Other things that might make you money instead of losing it. That was just one amazing advantage to plastic fencing that you should consider when thinking about buying one. Another point when considering buying a plastic fence would be that there is no rotting through the years like you would have when dealing with a wooden fence. Water and dampness can easily damage very quickly. Water seeps through the wood one over time, making it very soft and brittle. But of course this wouldn’t happen to a plastic fencing. Play stay sturdy and no water will get to them. With this advantage you can be sure that your fence will be with you for many years to come, looking just as good as the day you bought them! Don’t worry because not only can you buy an amazing plastic fence, but you can also purchase plastic benches to sit on while admiring your amazing fence and garden. This is an awesome idea because as we know wooden benches also rot like wooden fences. Just like the friends you have your plastic bench for as long as you want it. If you want your garden to look nice there has to be ordered and what you were doing, and with a plastic fence and a plastic bench everything will come together perfectly. There’s also no worries about the bench breaking because they are very sturdy and reliable, they also need no upkeep either just like the fence. All you have to do is sit back and relax. If you are someone looking for an amazing garden, and want as little maintenance as required this is the way to go. Before any changes occur in your garden, it would be a good idea to make a plan before any significant modifications transpired. Your garden will look better, last longer, and most importantly take away the hassle and dread of regular maintenance. In any case you will be able to see the difference once it is all done, and I’m sure you’ll be happy with the results that you will get. No more worrying about going out and working in the garden. All you have to do now is enjoy what you have. We all can say that we want our gardens to look as good as possible, but many of us have little to no time to make them look their best. This is why it will be wise for you to invest in a plastic fence so that you can get best of both worlds, having it look good and low maintenance. The fence does all of the work for you. I’m sure the plastic was not your first idea of what a perfect fence would be but I can guarantee that you will not regret your decision in buying this product. I’d say it is well worth considering as a new addition to your garden. This entry was posted in Fence Installation Tips. Bookmark the permalink.